At Universal Nissan, we are proud to present Orlando drivers with the latest iteration of the renowned Nissan sports car: the Nissan 370Z. The 2019 Nissan 370Z is an affordable sedan that looks like a luxury model and acts like a sports car. This lively ride is perfect for people who need an everyday vehicle with an extra touch of fun. It's offered as both a coupe and a roadster. The 2019 Nissan 370Z is best known for its powerful engine. The 3.7-liter V6 equipped with either an automatic or a manual transmission. Automatic is best for those who prefer an effortless drive, while manual helps drivers feel more in tune with the car. This new Nissan car achieves a horsepower of 332 for ultimate speed. It comes in a rear-wheel drive build, which gives the car more grip when accelerating. It’s no doubt that the performance of the 2019 Nissan 370Z is more than that of the average sedan. 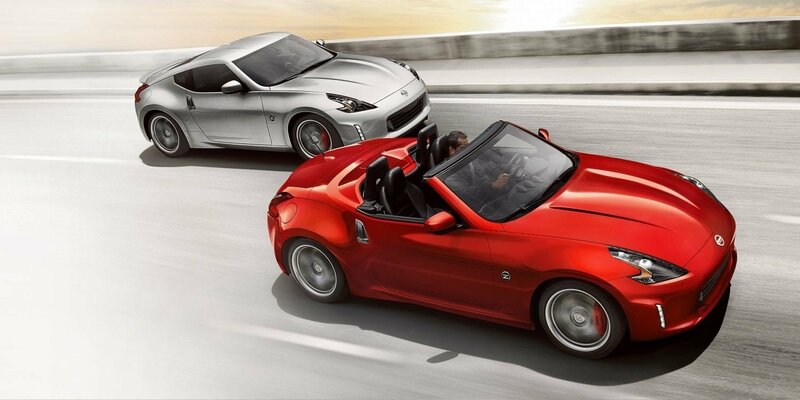 Aside from performance, the new Nissan 370Z also offers plenty of safety and tech features. It comes equipped with a rocking six-speaker sound system, along with Bluetooth® and a rearview monitor. Move up a couple trims, and you're granted access to a vibrant seven-inch touchscreen with a range of capability, inlcuding navigation, voice recognition, and SiriusXM® satellite radio. The standard eight-way adjustable driver's seat lets you find your perfect sweet spot at the wheel, while the tilt steering wheel adjusts to your command. Opt for climate-controlled seats for year-round comfort, and safely stow your personal items in the lockable glovebox. Regardless of your needs, the new 370Z is one of the best Nissan cars that is designed with you in mind. Universal Nissan is proud to stock the 2019 Nissan 370Z at our new and used car dealership serving Kissimmee, FL. Visit us today to take this road-hungry sports car for a test drive!